If you're familiar with Northwestern Ontario, you've probably heard of Egli's Sheep Farm in Dryden. 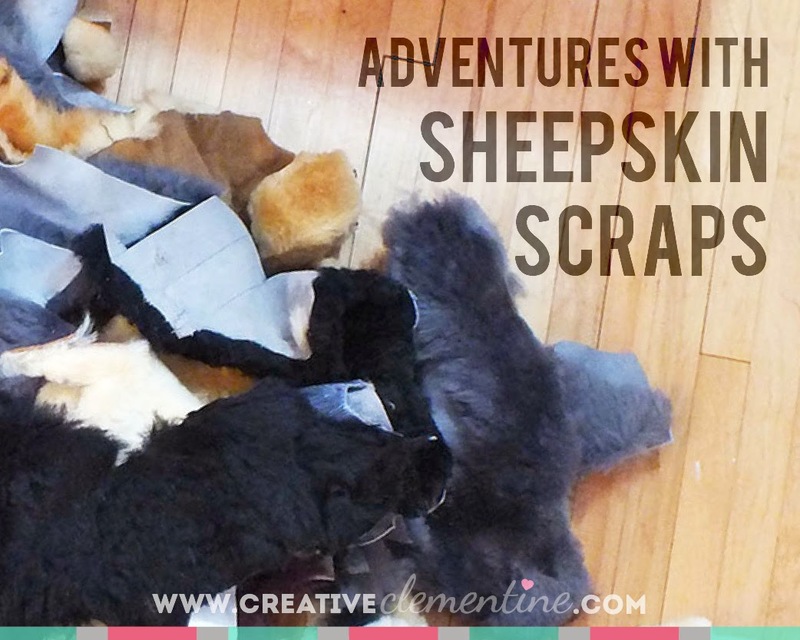 On a trip out yonder a little while ago, I couldn't resist picking up two of their sheepskin scrap grab-bags. For only $1.50 per bag, I knew I could have some fun with these scraps. So. I stared at this pile for a while. And I had no ideas. All I could do was marvel at the magnificent sheepiness happening in front of me. My next step was to make some tea. Turn on some Netflix. And continue to stare at the pile of scraps. Two bowls of macaroni and cheese, three cups of chai tea, and four episodes of Chuck later... I had an idea that used up ONE WHOLE SCRAP. Which, in hindsight, leaves me with about as much fur as I started with. But it also leaves me with this. 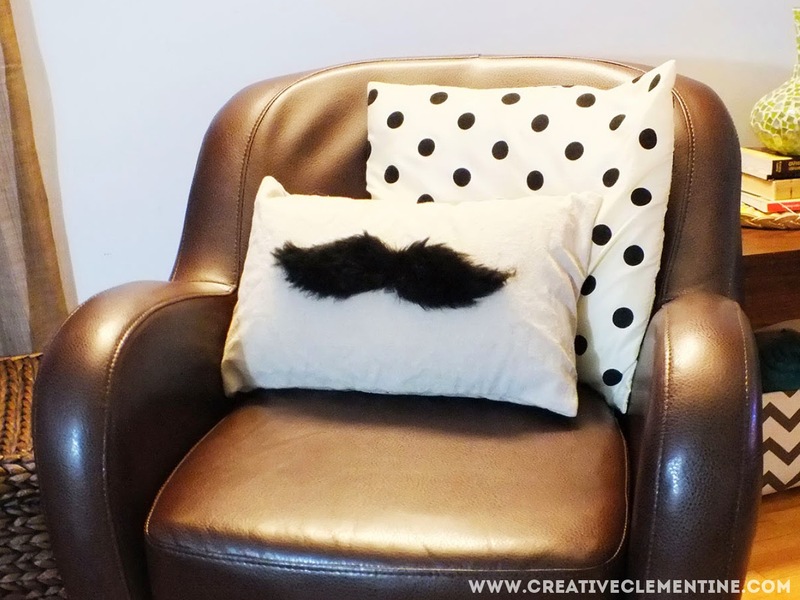 Welcome my new baby to the world: my moustache pillow! 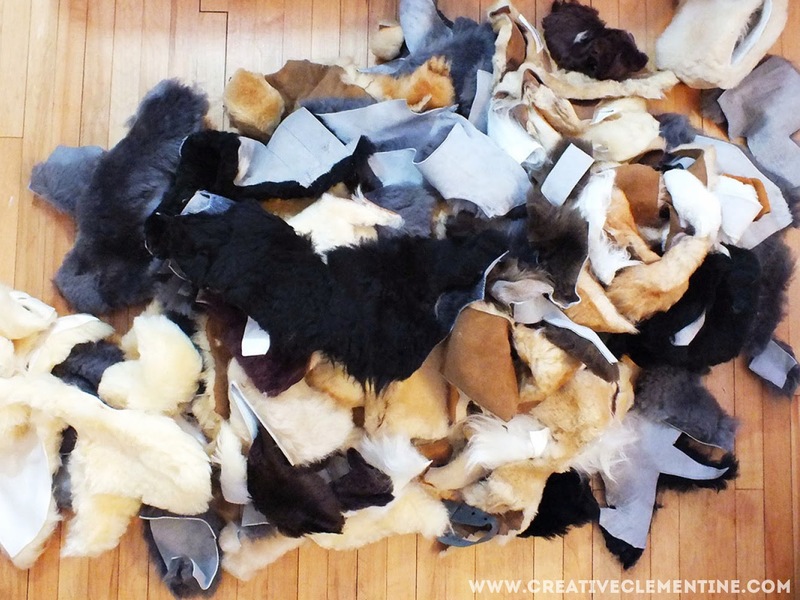 I started with one chunk of black sheepskin and some old dropcloth fabric to make a pillow cover with. I drew a crappy moustache onto the back of the sheepskin, cut it carefully with a knife (well, open scissors... but it was definitely a knife job) being careful not to cut the fur on the other side. 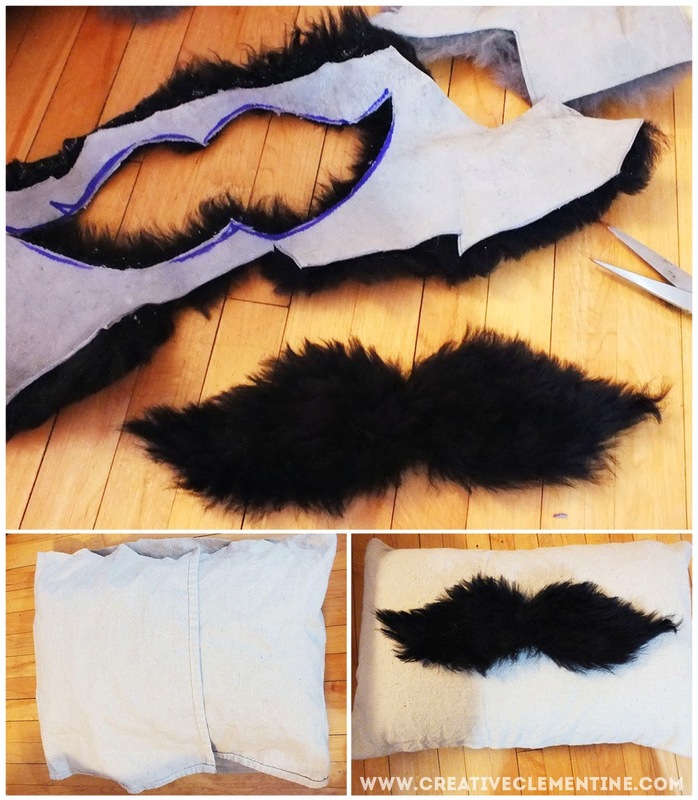 Then I just sewed a basic envelope pillow cover (by hand, while being a couch potato... a sewing machine would make more sense), and attached the moustache with black thread. I love my new pillow! It is wonderfully fuzzy and probably cost about $1 total to make. Now I just have to figure out what to do with the rest of this sheepskin. Patchwork throw, perhaps? I had a good giggle over this, not only the idea of the pile of sheepskin sitting in a pile on your floor, but also because I do the same thing. Finding something awesome then figuring out what to do with it is much more adventurous than having an idea and looking for the ingredients. Can't wait to see what you come up with for the rest of the pile. Perhaps some slippers (with the softness on the inside of coarse) ? I will definitely have to take a trip to this Egli's soon!